E-Capcom has released five sample tracks from the upcoming concept album Rockman Utopia. Simply hit up this page here, scroll down a bit and choose the piece you'd like listen to. Tracks available are as follows: Elec Man (Rockman 1), Freeze Man (Rockman 7), Centaur Man (Rockman 6), Clown Man (Rockman 8) and the title screen from Rockman 2. 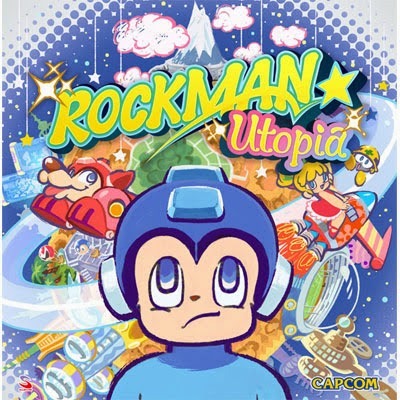 Rockman Utopia aims to provide upbeat techno arrangements of various themes from the classic series. The arrangements are being helmed by Basiscape, known for their previous work on 25th Anniversary Mega Man Rock and Techno Arrange albums, and Capcom's in-house composers Yasumasa Kitagawa and Hiromitsu Maeba. Rockman Utopia is due on January 14th for 3,564 yen (roughly $30 US). Not bad, not bad at all. Clownman's theme so far is my favorite. Can't wait to hear the rest when the album releases. Only one of those sounded really techno-y, which is a good thing. This is better than I was expecting. I really like what I'm hearing so far. Not bad. This was better than I thought. Oooooo I like! I especially like that these are tracks that don't usually get official remixes.